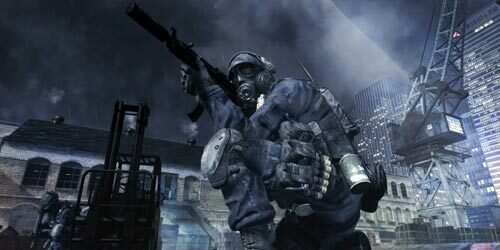 It seems that boosters and cheaters might have a hard time playing Modern Warfare 3. The game will be using Call of Duty Elite to detect players who aren't playing by the rules, and if caught, their stats might be reset or worse - the player will be banned. Call of Duty Elite will keep track of each players stats and the live ops team can use this very same information to spot boosters who are artificially ranking up.Noah Heller: "We can crack open the data and understand what's going on. When you have the data, you can analyze... like hey, every time that guy gets in a match, he is killing the same four people over and over. "Gamers playing in MW3 competitions will be monitored closely; the live ops are constantly monitoring players in matches and if something looks awry, they can jump into that game.Noah Heller: "They [live ops team] can join a match as a physical player, that's usually what we'll do. We also look at their last games. Heat maps can instantly show when something is off. In terms of the competition, invalidating the terms of service, we might ban you, we might invalidate your results. We do a lot of cheat detection. If someone gets 100 headshots in an hour... you know? "Boosting has been a serious problem in previous Call of Duty games, but it looks like Call of Duty Elite will get most of the boosters caught. It's left to be seen how good it works against real cheaters.